MDOT is seeking public input on its website and plans to hold at least 2 public meetings. The state is taking public comment on its plan to spend $21 million to reduce harmful vehicle emissions as part of a federal legal settlement with Volkswagen over the company’s diesel engines that illegally produced high levels of greenhouse gases. Maine plans to use the money to enhance the use of zero-emission vehicles and provide grant funding for vehicle replacement, engine upgrades and facility improvements to reduce nitrogen oxide, or NOx, emissions. A draft plan is available for review and the state intends to file a final proposal by the end of the year with the trustee that pays out settlement funds. “This is a remarkable opportunity to make up what went wrong,” said Judy Gates, director of the Maine Department of Transportation’s environmental office. 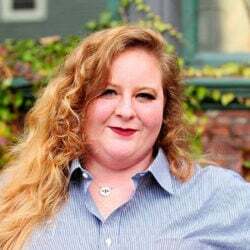 “Twenty-one million dollars is a significant amount, we are taking it very seriously that this be seen as an opportunity for people and get the word out as much as we can to take advantage of it,” she said. Maine DOT is leading the settlement plan with the Governor’s Energy Office and Maine Department of Environmental Protection. Public comments on the plan are being accepted on the MDOT website and the agency plans to hold at least two public meetings. Maine’s plan, modeled on New York and Connecticut proposals, would give money to public and private sources through grants. Other states have opted to use the funding to replace public fleets with low-emission vehicles or invest in other projects to curb harmful vehicle pollutants. “We thought by doing (the grant process) we could get the greatest emissions reductions and hit the areas that were most impacted by the Volkswagen vehicles,” Gates said. The funding is Maine’s portion of an overall $14.7 billion settlement to resolve charges that Volkswagen intentionally designed 2- and 3-liter diesel passenger car engines to cheat on emissions tests while violating emission standards during normal operation. The overall settlement included a $2.7 billion payment to states from Volkswagen managed by an independent trustee. Money is paid out based on the number of illegal vehicles sold or leased per state. About 3,670 2-liter diesel Volkswagen cars were sold in Maine between 2008 and 2015, out of 500,000 sold in the U.S. The settlement terms specifically restrict the types of vehicles, machinery and facilities eligible to receive funding from the trust. Passenger cars cannot get funding, but heavy trucks, passenger buses and rail locomotives may. Funding applications will have to include projected NOx reductions and impact on air and community health. Project priority will be based on the emissions reduction or offset per dollar spent, as well as a number of other factors, such as health benefits and impact on wild areas like Acadia National Park. “Whatever gives the most value of NOx reductions, you continue to give the money out going down the list until there is no money left,” Gates said. Maine plans to spend the maximum amount it is allowed, 15 percent, or about or $3.15 million, to improve zero-emission infrastructure, such as charging stations for electric cars. 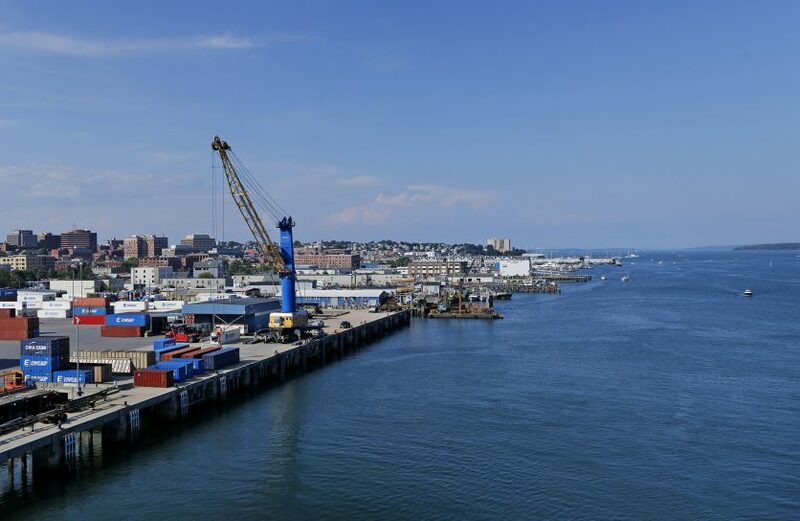 Forty percent of the funding, $8.4 million, is planned for improvements to the state’s port facilities and rail yards, which “contribute disproportionately” to air pollution in Maine, according to the draft plan. That could mean replacing old cranes and tugboat and locomotive engines with cleaner models. About $4.2 million, or 20 percent, will be added to the state’s annual funding from a federal program to reduce diesel emissions. That program has less stringent restrictions than the Volkswagen settlement, so the state can use it on commercial fishing vessels and farming, construction and lumber equipment. The remaining $5.25 million would be directed to projects to repower engines on heavy trucks, buses, locomotives and other vehicles according to terms of the settlement. If demand for funding in one area falls short, the state can apply to redirect money to a different program, Gates said. Motor vehicles in Maine produced 34,429 tons of NOx in 2014, about 62 percent of the state’s entire NOx emissions. Passenger cars and trucks combined made up about 67 percent of all motor vehicle emissions, according to U.S. Environmental Protection Agency data. A final plan would have to be approved by Gov. Paul LePage, as well as the trustee. In June, LePage vetoed a bill that would have directed the state to spend 15 percent of the settlement to expand zero-emission vehicle infrastructure, which was upheld by the Legislature. In his veto message, LePage said to force spending on a specific aspect of the plan while it was still under development was poor public policy. Lisa Smith, the senior director of planning for the Governor’s Energy Office, said LePage has designated Maine DOT as the lead agency to complete the settlement plan, but did not say whether LePage would sign off on a final plan. “Until it is in front of him, I can’t say absolutely,” Smith said.